I approach dentistry with kindness, love, and understanding. I want every child who comes in to be comfortable, no matter how they might feel about visiting the dentist. When it comes to your child’s oral health, he or she deserves nothing but the best. 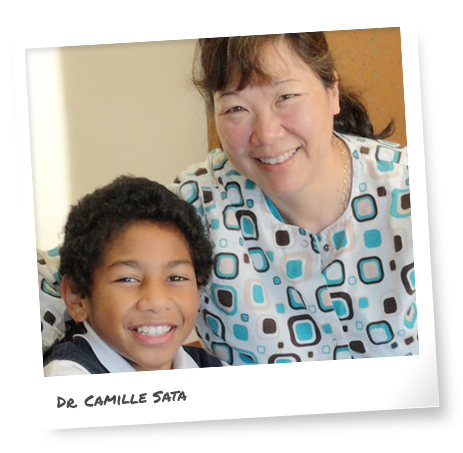 At Camille Sata, DMD, Dentistry for Children, our goal is to earn your and your child’s trust by providing a fun, safe, and welcoming environment at each dental visit. We customize every encounter to your son or daughter’s specific needs, both clinical and emotional. Dr. Sata provides specialized pediatric dentistry for infants, children, and teens in a warm, caring, and friendly environment. Our focus is on preventive care, to help each youngster maintain a healthy, beautiful smile that will last a lifetime. We also offer nitrous oxide for patients who undergo fillings, extractions, and other restorative treatments. Learn more by contacting our Seattle, WA pediatric dental office and scheduling a visit for your little one. We are excited to meet your child and be your partners as your son or daughter grows up with a confident and wonderful smile. Children should visit the dentist by their first birthday. It is important that your child's newly erupted teeth receive proper dental care and benefit from proper oral hygiene habits right from the beginning.